We hosted 2 Discernment Weekends this Fall, one in November and the other in December. 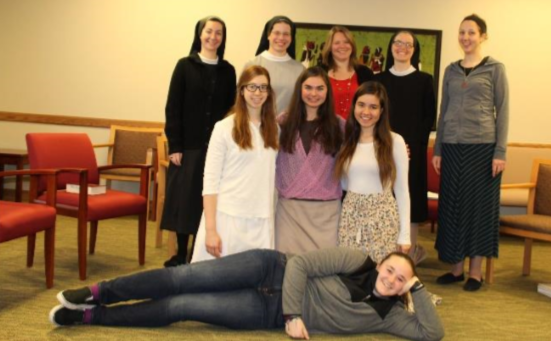 As always, these are days of joy and full of hope as we welcome young women discerning their vocation and interested in learning more about our Missionary Benedictine way of life. These two events drew a total of 8 young women, most of them college students. In addition to the conferences and community activities, the highlight of the weekend is coffee time in the infirmary with our elderly Sisters. The vocation visitors value this time as they get to interact with our elderly Sisters and hear their stories. Time is also set aside for one-on-one visits with various Sisters, as well as a panel of Sisters who share about their missionary experiences.